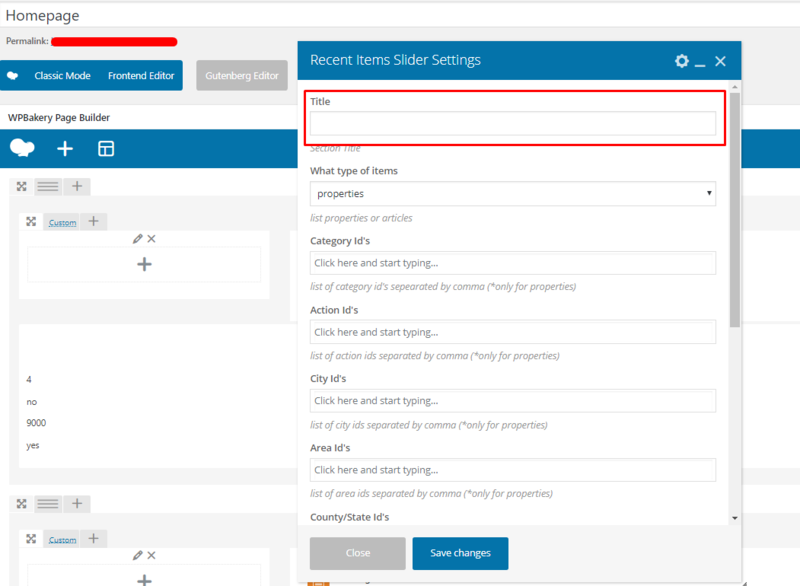 Recent items Slider shortcode is used for Properties and for Articles. Only some options apply for articles. The shortcode can be used from Visual Composer editor or from WordPress editor. It’s easier to set all the settings with Visual Composer. Can select between properties and articles. Only some options apply for articles. 3. 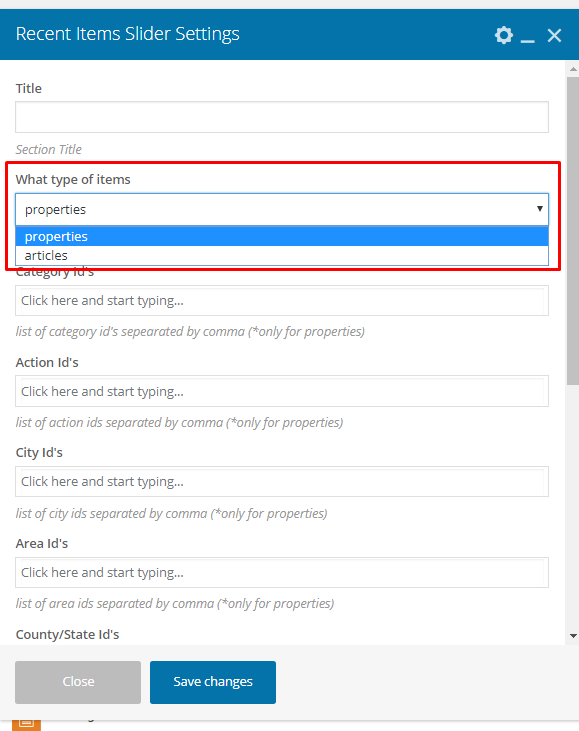 You can TYPE Category, Action, Country, City and Area names in any combination you wish. IMPORTANT! 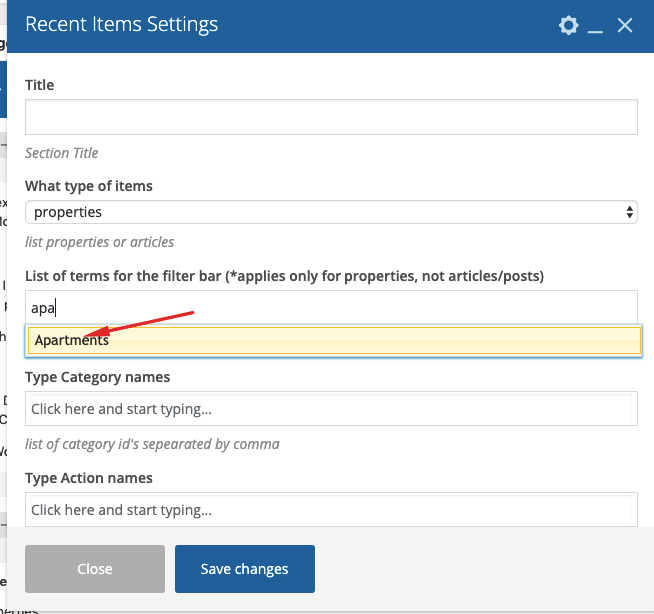 These options are displayed only if select to display properties. Shortcode requires to set at least 4 properties (if you use the 3 column style list) or 5 properties (for 4 column style list). 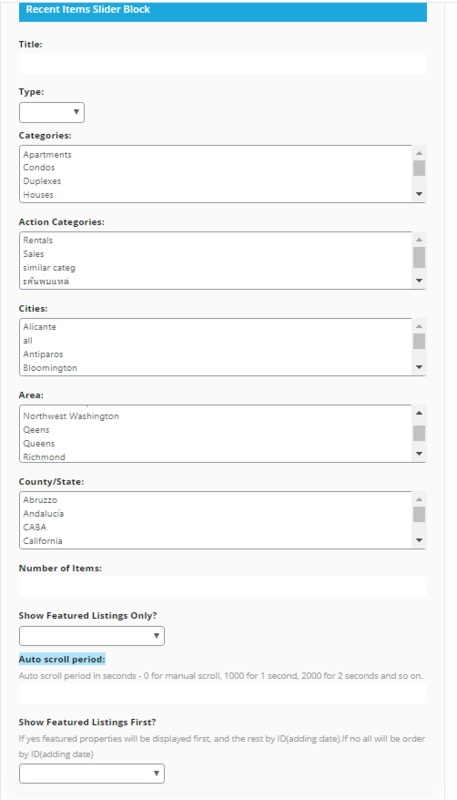 You can select if you wish to show featured listings first. 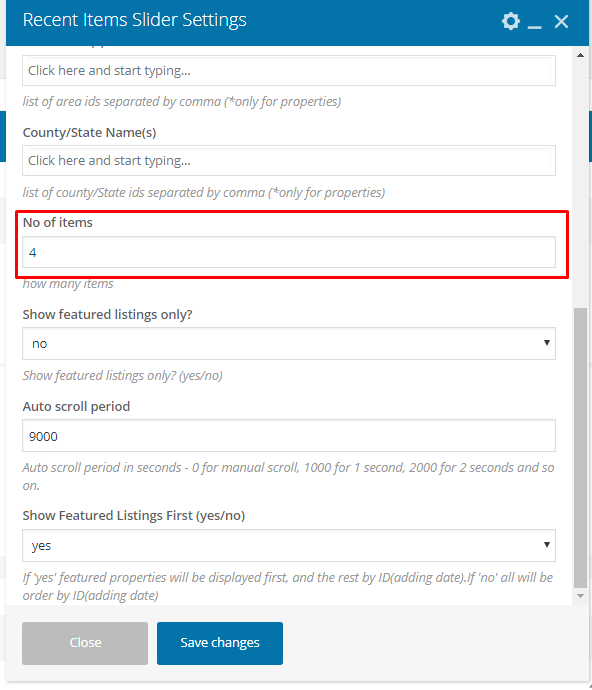 If you choose no, then properties will list by first publish date. 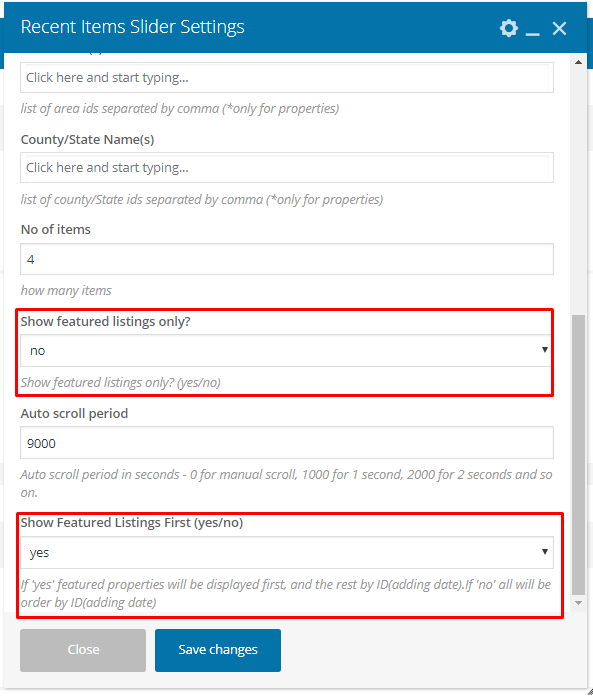 If you choose yes, you will have featured properties first and by first publish date next. 6. 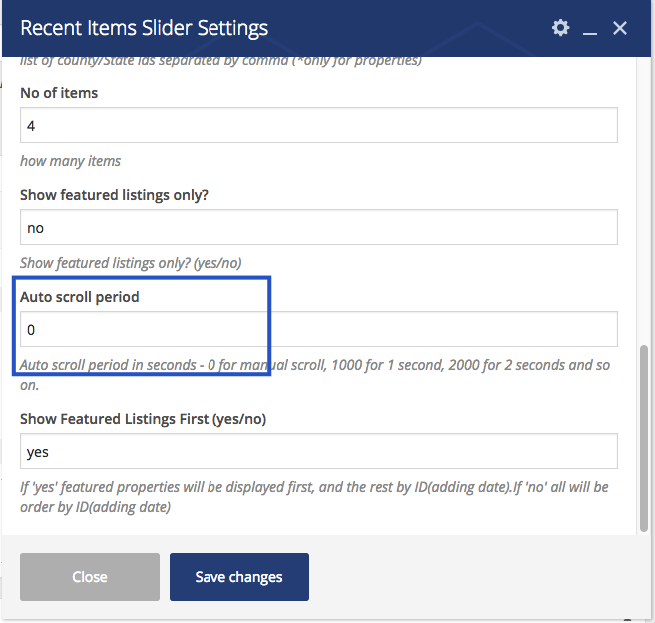 For the slider you can set the auto-scrolling period. If 0 – the slider will change only with the arrows. -choose if wish to show featured listings first.